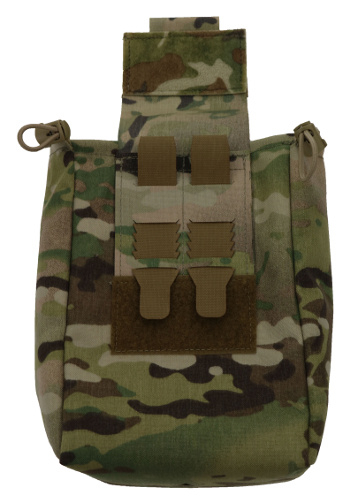 Beez Combat Systems (BCS) has rolled out a number of new pouches using their GRIDLOK attachment system which is a PALS compatible system that is laser cut from laminate material, very light weight, and designed to be secure with “teeth” that grip the slots in the pouch’s backing. The pouches also make use of their laser cut GRID material for the body of the pouches. The new line of pouches is already very filled out with plans for new pouches soon. The line includes both open and closed top magazine pouches for AR-15s, AKs, and handguns along with single and double magazine variations. It also includes a folding dump pouch and handcuff pouch with plans to introduce a TQ and Admin pouch soon.